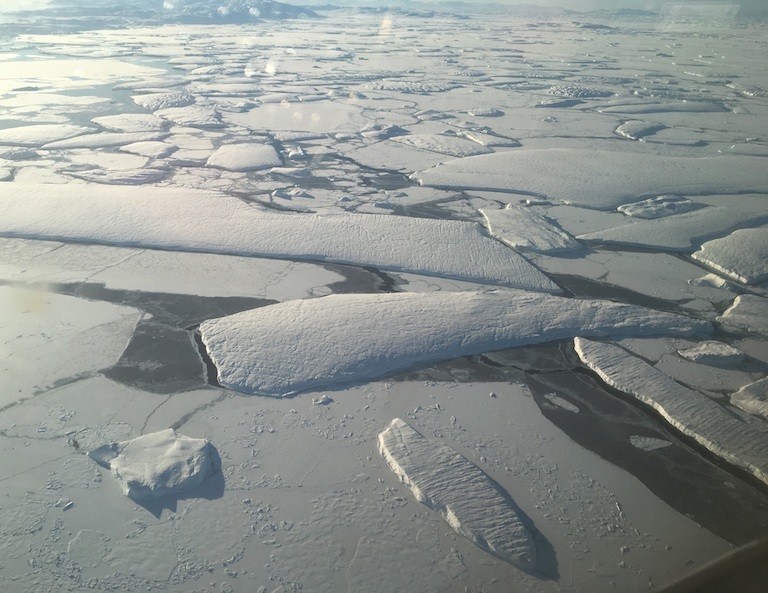 How are climatic zones changing? Lauren Parker and John Abatzoglou of the University of Idaho tracked what would happen to hardiness zones from 2041 to 2070 under future global warming scenarios, and found the lines will continue to march northward at a “climate velocity” of 13.3 miles per decade. North America is seeing the opposite phenomenon: Its arable land is romping northward, expanding the wheat belt into higher and higher latitudes. 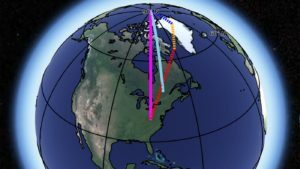 Scientists project it could go from about 55 degrees north today to as much as 65 degrees North — the latitude of Fairbanks, Alaska — by 2050. That’s about 160 miles per decade. The article includes potential ramifications of these changes along with other quantitative information. Graphic: Hardiness zones in the U.S., which track average low temperatures in winter, have all shifted northward by half a zone warmer since 1990. 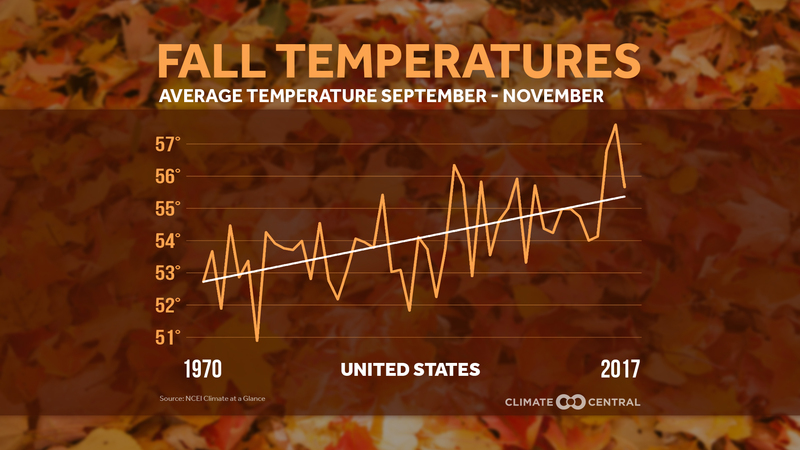 SOURCE: UNITED STATES DEPARTMENT OF AGRICULTURE. GRAPHIC BY KATIE PEEK. 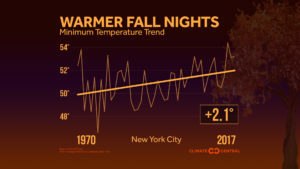 How much have fall nighttime temperatures risen? 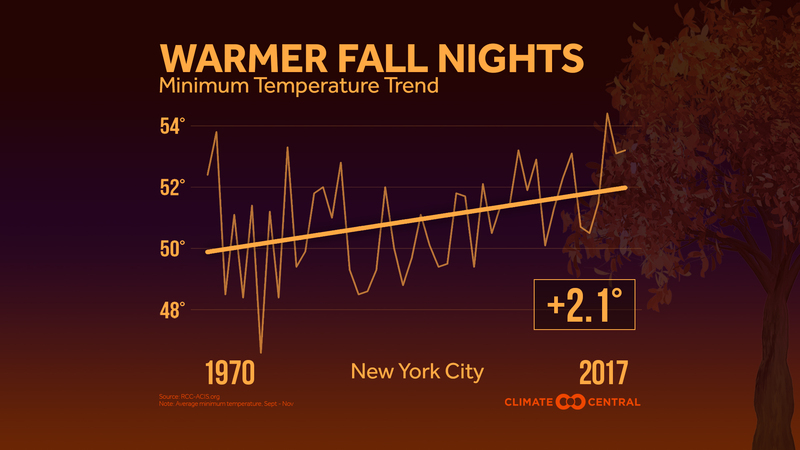 Warming fall nights mean more than just a delay in pulling out those comfortable sweaters and drinking hot apple cider. The lack of cool nights effectively lengthens the summer, as the first frost of the year also comes later. While warm-weather fans may celebrate, this also means that disease-carrying pests like mosquitoes and ticks will persist longer before dying off in the winter. 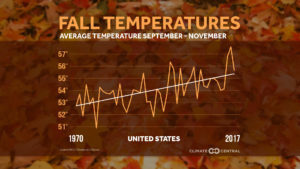 Nationally, the long-term warming trend has lengthened the growing season by two weeks compared to the beginning of the 20th century. The allergy season is also getting longer, with ragweed pollens not disappearing until the first freeze of the fall. The article has a drop down menu to select cities across the U.S. to see a graph similar to the one copied here for the selected city. They don’t post the data that was used to create the graphs, but they do explain their data sources under methodology. 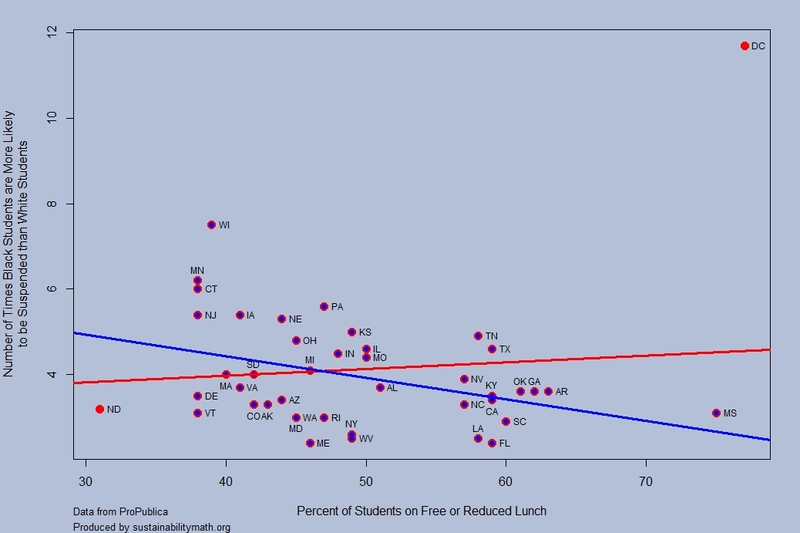 What is the relationship between rates of suspension by race and free and reduced lunch? Propublica’s article, Miseducation – Is There Racial Inequality at Your School? by Lena V. Groeger, Annie Waldman and David Eads, (10/16/18), provides data by state on the percent of nonwhite students, the percent of students who get free/reduced-price lunch, high school graduation rate, the number of times White students are likely to be in an AP class as compared to Black students, and the number of times Black students are likely to be suspended as compared to White students. The comparison is also available for Hispanic students. 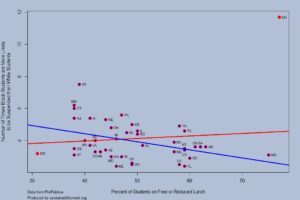 The graph here was created with their data and compares the percent of students on free and reduced lunch with the number of times Black students are likely to be suspended compared to White students (state data isn’t available for HI, ID, MT, NH, NM, OR, UT, or WY). The red lines uses all the data where as the blue line removes the outliers of DC and ND. The blue regression line has a p-value of 0.012 and R-squared of 0.15. This suggests that wealthier states, as measured by free and reduced lunch programs, have a greater disparity is suspensions between black and white students. The impact of outliers is instructive here and there are other scatter plots worth graphing from the article. There are also statistics projects waiting to be created with this data. The article also has an interactive map or racial disparities by districts, but the map can be misleading based on missing data from districts. Can you see how? This makes the map itself useful for QL courses. R Script that created this graph. Companion csv file. Who misses school the most? The EPI article, Student absenteeism – Who misses school and how missing school matters for performance by Emma García and Elaine Weiss (9/25/18) provides a detailed account of absenteeism based on race and gender. 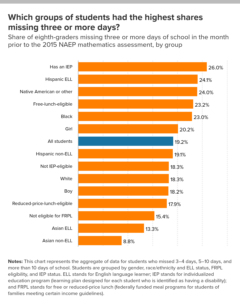 For example, their chart here is the percent of students that missed three or more days in the month prior to the 2015 NAEP mathematics assessment. There are noticeable differences. 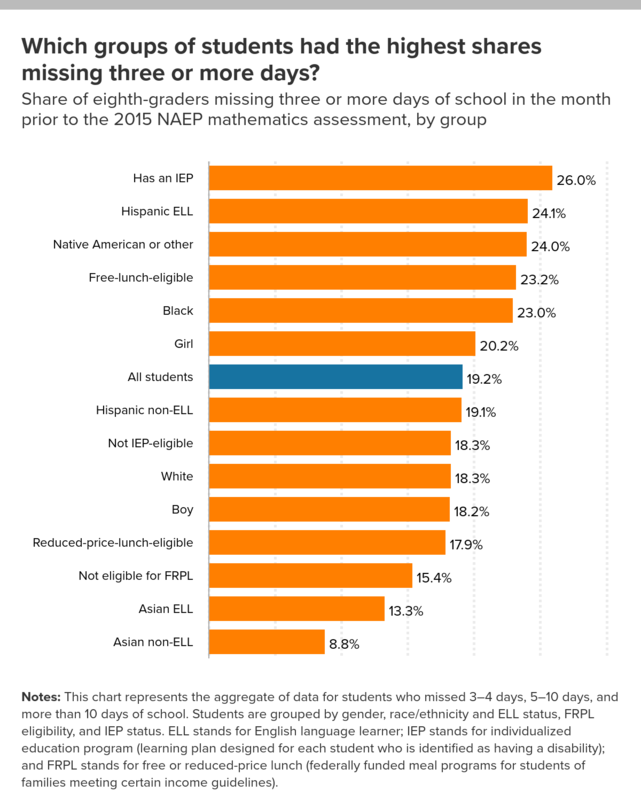 For instance, the percentage of Black, White, and Asian (non ELL) that missed three or more days in the month is 23%, 18.3%, and 8.8% respectively. In general, the more frequently children missed school, the worse their performance. Relative to students who didn’t miss any school, those who missed some school (1–2 school days) accrued, on average, an educationally small, though statistically significant, disadvantage of about 0.10 standard deviations (SD) in math scores (Figure D and Appendix Table 1, first row). Students who missed more school experienced much larger declines in performance. Those who missed 3–4 days or 5–10 days scored, respectively, 0.29 and 0.39 standard deviations below students who missed no school. As expected, the harm to performance was much greater for students who were absent half or more of the month. Students who missed more than 10 days of school scored nearly two-thirds (0.64) of a standard deviation below students who did not miss any school. All of the gaps are statistically significant, and together they identify a structural source of academic disadvantage. These results “… identify the distinct association between absenteeism and performance, net of other factors that are known to influence performance?” The article has 12 graphs or charts, with data available for each, including one that reports p-values. 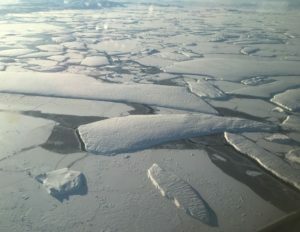 What is in the new IPCC report? 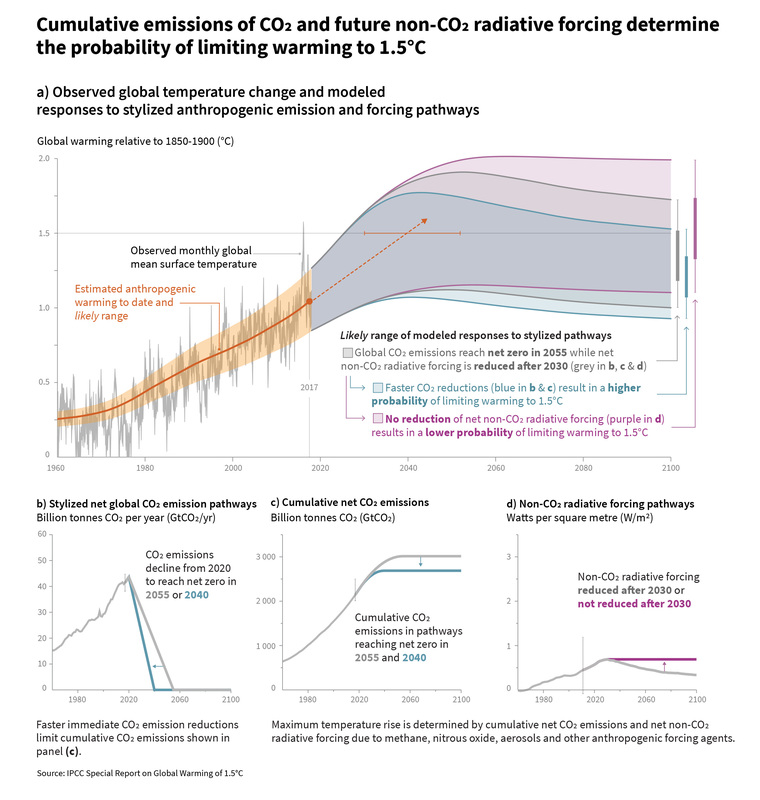 The is too much in the new IPCC report (released this week) to cover here, but we can highlight a couple of points. 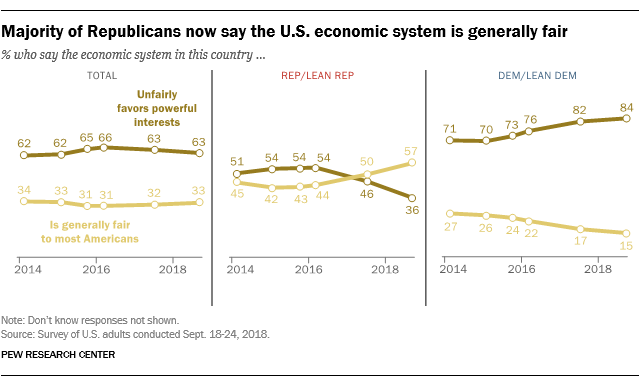 The first is their graph copied here. 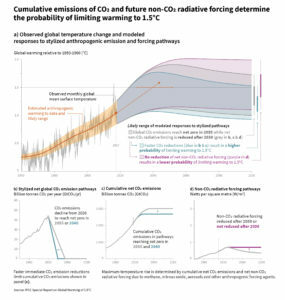 The main graph provides projections for change in global temperature based on what happens to CO2 and non-CO2 radiative forcing gasses. For example, if net CO2 emissions reach zero by 2055 (CO2 emitted minus CO2 absorbed graph b) and non-CO2 gases are reduces (graph d), then we are likely to stay below the 1.5 °C threshold. 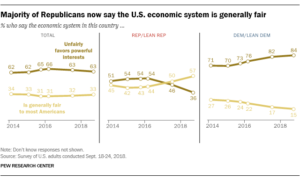 What the graph does not say is what happens if society does nothing. The executive summary and/or the graphs could be used in QL rich courses.